Since 1965, when the great Joe Weider started Mr. Olympia total 13 men won the competition and etched their names into the tome of bodybuilding immortality. Larry Scott won the inaugural event in 1965 and walked away with the cash prize of $1,000. According to the CPI Inflation Calculator, $1,000 in 1965 has the equivalent purchasing power as $7,961.65 in 2018. Today Amercian Media, Inc published a press release revealing the bodybuilding sports biggest purse to make and female competitors. According to the press release by the AMI total $1.36 million will be awarded to the athletes. 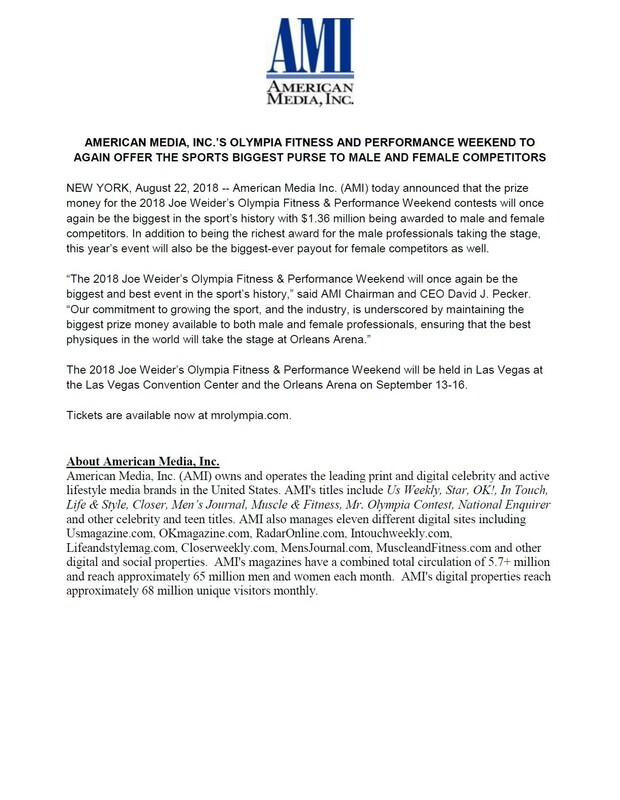 American Media Inc. (AMI) today announced that the prize money for the 2018 Joe Weider’s Olympia Fitness & Performance Weekend contests will once again be the biggest in the sport’s history with $1.36 million being awarded to male and female competitors. In addition to being the richest award for the male professionals taking the stage, this year’s event will also be the biggest-ever payout for female competitors as well. “The 2018 Joe Weider’s Olympia Fitness & Performance Weekend will once again be the biggest and best event in the sport’s history,” said AMI Chairman and CEO David J. Pecker. The exact breakdown of prize money per division is not mentioned in the press release. The 2018 Olympia Fitness & Performance Weekend will be held in Las Vegas at the Las Vegas Convention Center and the Orleans Arena on September 13-16. 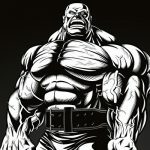 Here you can check the complete schedule of 2018 Mr. Olympia! Love seeing the prize money go up for these competitors. I hope in the coming years this is a continuing trend.